After last night, the Shanghai Dragons are 0-37 in the Overwatch League. That’s longer than any losing streak in the history of the big four North American pro sports — worse than the 1976-77 Bucs and Process Sixers losing 26 and 28 games over two seasons. Worse than the Louisville Colonels losing 26 straight in 1889. They barely belong in the League, and they’re one of the best things in it. Every Shanghai Dragons game is like watching an elaborate Rube Goldberg machine and knowing all the while that a deep, black hole waits at the end. Small chain reactions delight. The big, flashy ones inspire some anxiety. The ride is enjoyable until the end, when all that kinetic energy results in an inevitable, foreseeable failure. 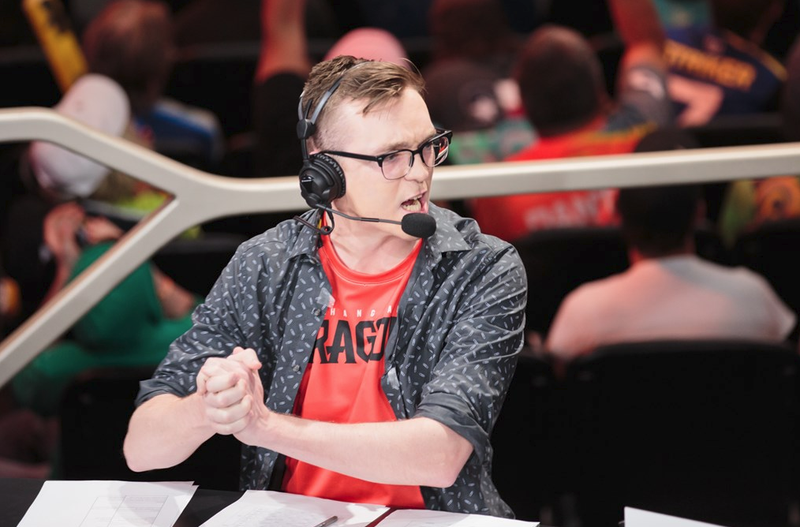 What made last night’s match particularly noteworthy, and attracted significantly more than the average viewership tuning in, were the Dragons’ chances against a similarly tragic team, the Florida Mayhem, who are in 11th place to the Dragons’ 12th. The Mayhem were 6-30 coming into last night; they have excellent individual ingredients that, together, congeal into a disgusting stew. 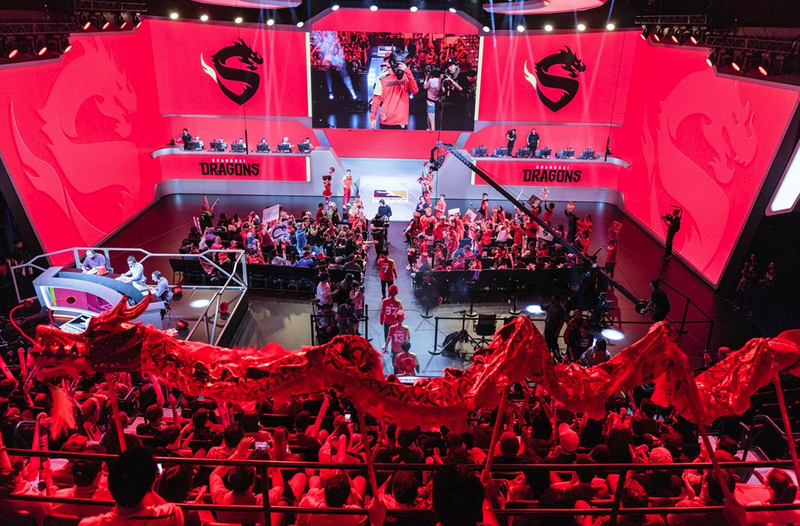 At this point in the Overwatch League’s first season, everybody loves the Shanghai Dragons. It’s not just because they scooped up memer-in-chief and expert D.va player Se-yeon “Geguri” Kim, the League’s first woman pro. It’s also not just because talent like Chon “Ado” Gi-hyeon regularly pulls off spicy offensive plays. The team is full of potential energy. At the start of yesterday, this truly desperate Overwatch team was carrying 36 sad losses, reportedly 72-hour work weeks, and two fired coaches. The closer they get to winning that first game, the more painful the losses get. Their last few competitive matches have been the greatest thrill rides of the season. I’ve never been a sports person, but when I saw the New York Excelsior’s Kim “Pine” Do-hyeon calmly land five successive world-class headshots on Houston’s attacking team, I felt sports feelings for the first time. They went like this: “I live in New York”; “That’s my team”; “My team is really good, damn”; “Dem my bois! !”; “You can’t beat my boys!!!!”. I started using the relationship-defining “Us” when discussing these ten Korean boys who been to New York once. I’d tune in for most Excelsior games, watching excitedly as we pummeled everybody else with the grace and composure of obvious victors. Over time, though, the glow faded. Excelsior almost always wins. Woo hoo. Excelsior almost always plays it safe, too, unless they’re showboating which — if you’re listening, NYXL — is pretty mean. The tension, by now, has drained out of these games for me. Shanghai has become my new obsession. Shanghai has come close a few times, and those times, I’ve caught myself winded. On February 7, the Dragons were 2-2 with Dallas Fuel and on the tiebreaker map when, in the last few minutes, Shanghai completely failed to scramble together a competent offence. On April 28, against the Philadelphia Fusion, the teams were again 2-2 when, on the tiebreaker, Shanghai’s scrappy offence failed to congeal. Those last few seconds on each map were the most tense seconds in the Overwatch League until yesterday. At this point, Shanghai needs to prove they’re worth being in the League at all. While they’re still losing, they’re a much better team than they were in the first half of the season. Last night, Shanghai stole two maps off the Mayhem. It was stop-and-start. Some rounds were decisive. There were also dumb mistakes. Shanghai’s main tank would dive into the action with no healers available to help. Support players might find themselves flanking with no defence in sight. It wasn’t cohesive. And on the tiebreaker map, Shanghai committed nearly every Overwatch cardinal sin: bad hero picks, late hero changes, falling behind on the ultimate economy, failing to stay together and, worst of all, losing their heads. It was immediately clear early on in that last map that yesterday would not be Shanghai’s day and, if that day ever came, it might be a result of another teams’ blunders. “FLORIDA MAYHEM WINS” appeared on screen. The audience, for the most part, stayed seated.